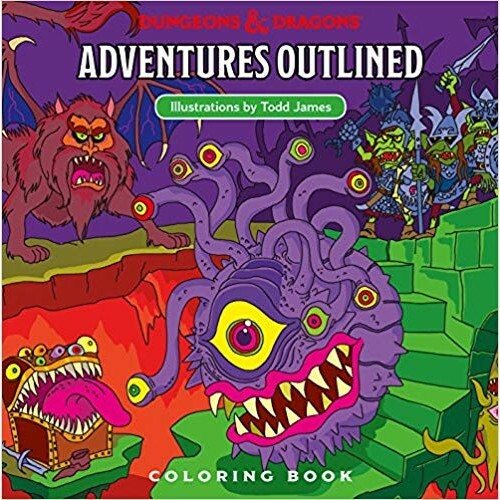 The Dungeons & Dragons-Adventures Outlined coloring book features fantastical designs and shows off classic monsters from the game as seen through the eyes of world renowned artist, Todd James. Color your way through each adventure with these delightful illustrations. This coloring book features unique designs including beholders, trolls, goblins, dragons, and more. Provides hours of creativity, fun, and relaxation.